He loves her this big. 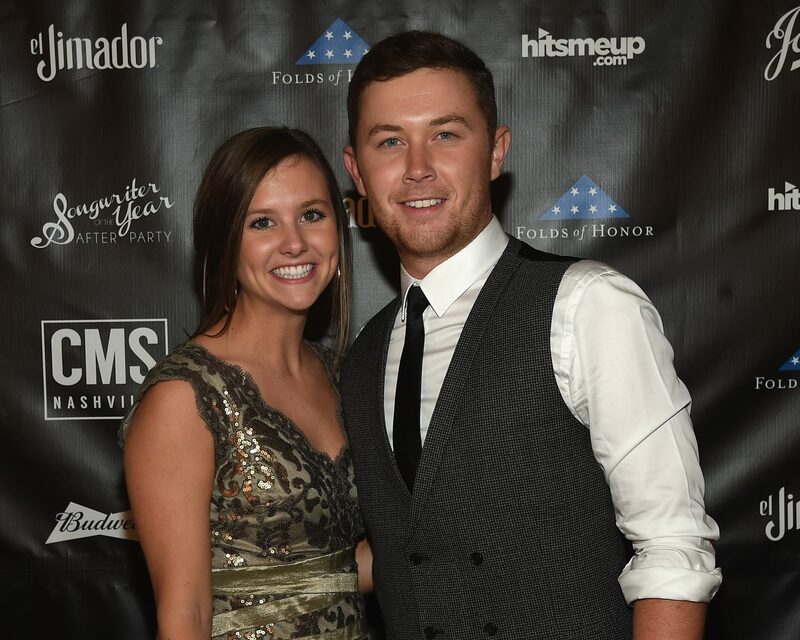 Country singer Scotty McCreery is engaged to his longtime girlfriend, Gabi Dugal. The season 10 American Idol winner proposed on Tuesday, September 26, at the Little Lost Cove summit in North Carolina’s Grandfather Mountain. McCreery posted a photo of himself kissing his future wife atop the sweeping landscape, presumably moments after the proposal. “SHE SAID YES!! !” McCreery expressed on Instagram. The ring was custom designed by the future groom, who is best known as the 10th season winner of Fox’s smash series. Dugal is a pediatric cardiac nurse who works at Duke University Hospital. Be the first to comment on "Scotty McCreery Is Engaged to Longtime Girlfriend Gabi Dugal: See How He Proposed"